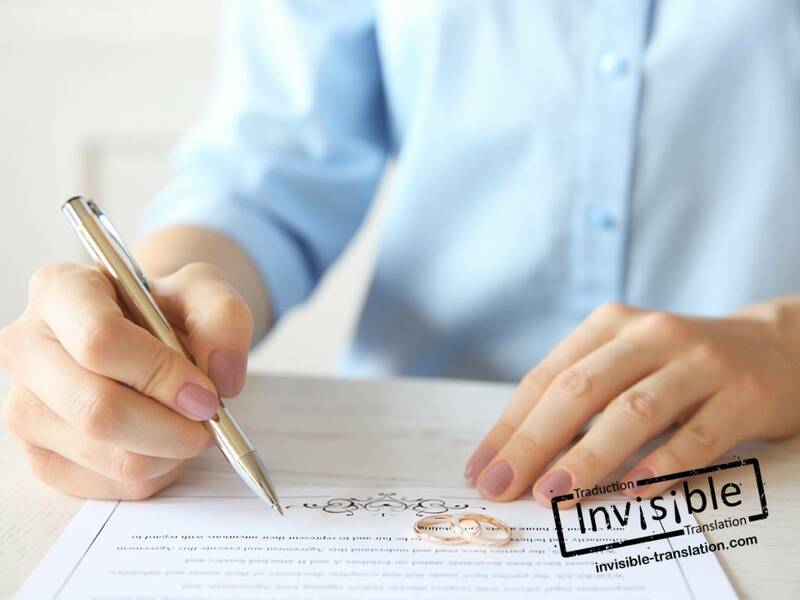 Translation of official documents | INVISIBLE Translation Inc.
What exactly is a “certified translation” of an official document? For our purposes, an official document is a statement in writing issued by a government or a recognized authority confirming a person’s status or identity, or certifying a fact. Governmental, judicial and academic institutions in Canada and Quebec generally require a certified translation of any official document issued abroad. An official document must be translated by a certified translator who is a member in good standing of a professional association recognized by the Canadian Translators, Terminologists and Interpreters Council (CTTIC). Some Quebec institutions may require that official documents be translated and certified by a certified translator belonging to the Ordre des traducteurs, terminologues et interprètes agréés du Québec (OTTIAQ). The translation of an official document must be accompanied by a statement signed by the certified translator to the effect that it was produced in accordance with trade practice, and is an accurate reflection of the original. The certified translator must imprint the appropriate seal on each page of the translation and on the signed statement mentioned above. In many cases, the original and the translation must be signed and sealed by a Canadian notary public, or a commissioner for oaths. Because official documents are too important to be entrusted to just anyone. INVISIBLE Translation can call upon an extensive team of certified translators authorized to translate and certify official documents. When you use our services, you have the assurance that the authorities in question will accept the validity and official character of the translation we provide. You may also rest assured that the translation of your official document will be error-free, because one of our revisers will have checked its accuracy prior to certification. Lastly, we will ensure that your certified translation is delivered on the date and at the time you specify. Scan each official document in high resolution (at least 300 dpi). Forward these scans to the following address: quotation@invisibletranslation.com. Please remember to indicate your desired timeframe and your contact information. We will contact you promptly by telephone to discuss your project. A minimum charge of $125 (excluding taxes) will be applied for each official document or each page, as applicable. Note that we offer students a three-percent discount.